Curious about the title? As you know, The Petronas Malaysia Grand Prix 2012 is just around the corner, and in conjunction with the 14th edition of the grand prix in Malaysia, Petronas has set a whole lot of activities lined up for you! 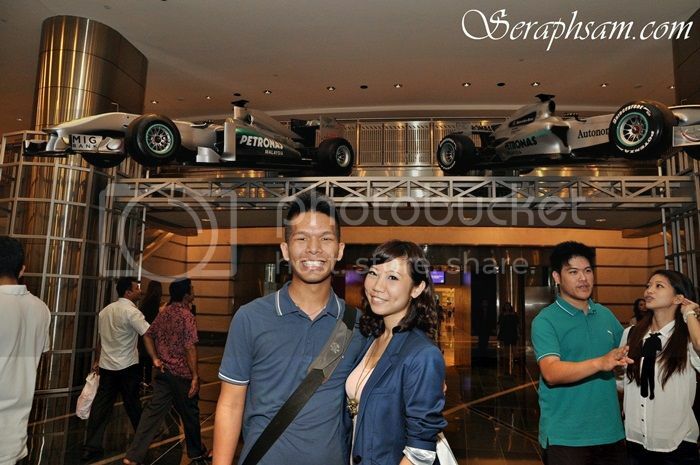 A group of bloggers were able to get the 1st view of whats going to be in sight for the Petronas Malaysian Grand Prix Showcase & some got pretty lucky at the end of the day! 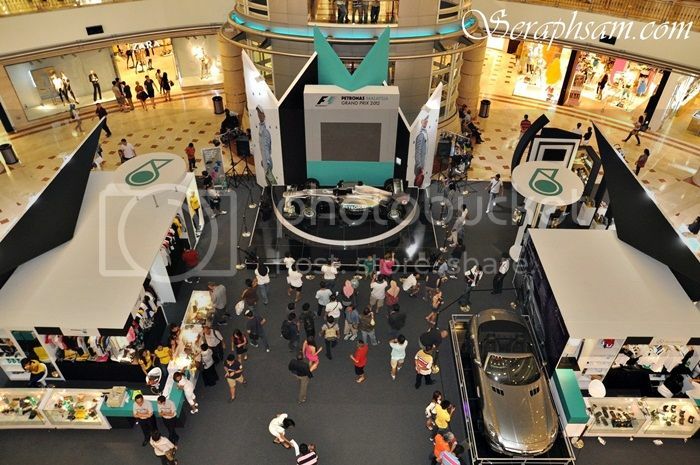 For a start, Petronas has set up the new & improved 2012 Formula 1 Petronas Malaysia Grand Prix Showcase at the Concourse of Suria KLCC from the 17th - 25th March 2012. 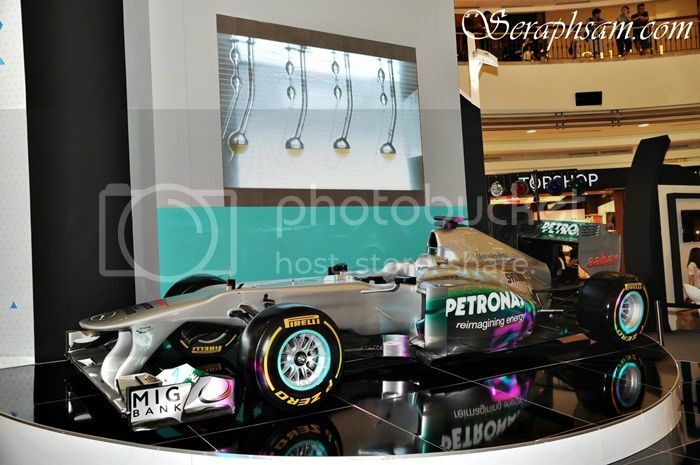 This showcase opens from 10am-10pm daily and it exhibits the Mercedes AMG Petronas Formula One Team Car and also the Mercedes-Benz SLS AMG Roadster and the Mercedes-Benz CLS 350 cars. Now how cool is that? 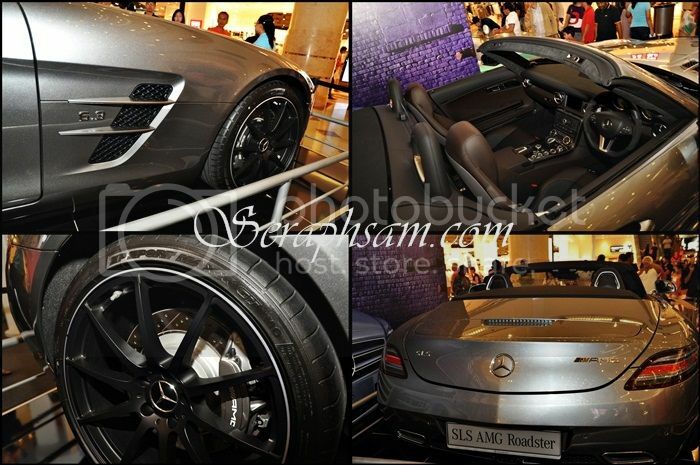 You'll be able to stand next to the actual car used to race & multi million ringgit cars! Look at the design, the beauty! 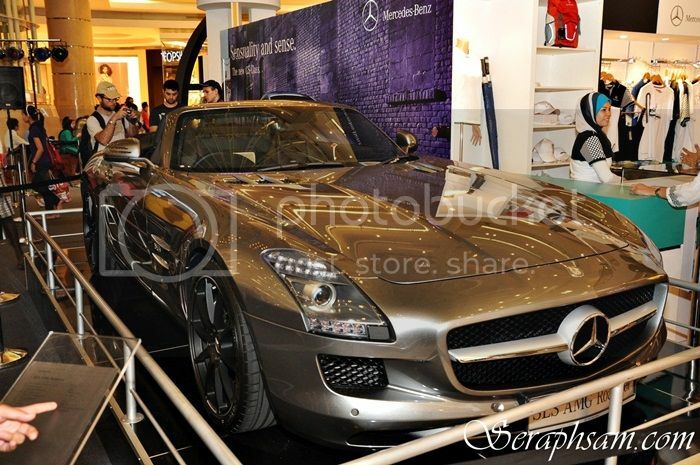 It costs RM1.8 million! if you think the cars stop there, You're wrong! 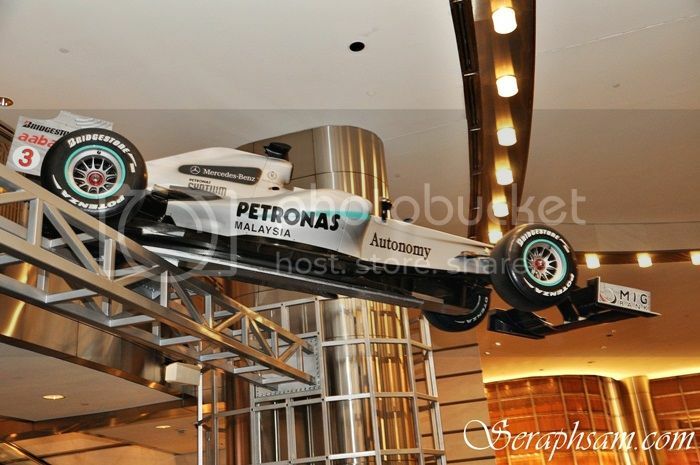 At the entrance of KLCC, Petronas has elevated 2 Mercedes Formula One cars! The cars are from the year 2010 and 2012 Formula One Race! Now you can also know what does the car look from underneath! Emeryn and I with the cars! 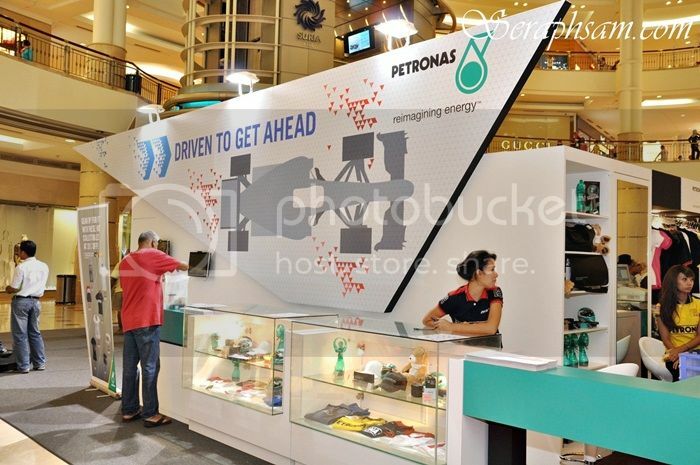 Other than that, There are exclusive Merchandise of Petronas being on sale with promotions next to its side! So what is stopping you from getting a hold of the awesome merchandises which will add to your collection? I would bet you that if you don't purchase this collection, You will regret it in the future when you knew you had the chance now to get it! From Apparels to Key Chains & Motor Oil! Other than that, What is installed for you at the showcase? 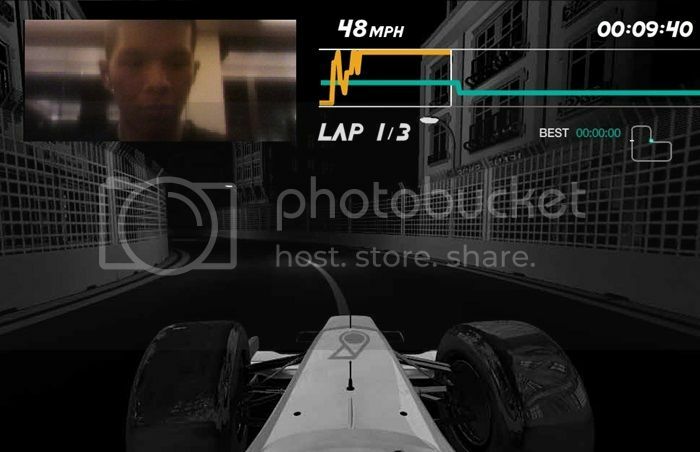 There has been a virtual game launched by Petronas in hype of the Formula 1 Season and it is called the SPEED OF SOUND. I really find this game interesting as, normal racing games would use analogs or key controls to control your car. but as for this game, It is so innovative that it actually uses sounds to control the car! it is designed in a way to capture the pitch of your voice and if it reaches the optimal pitch, The car will then speed of to its maximum speed! 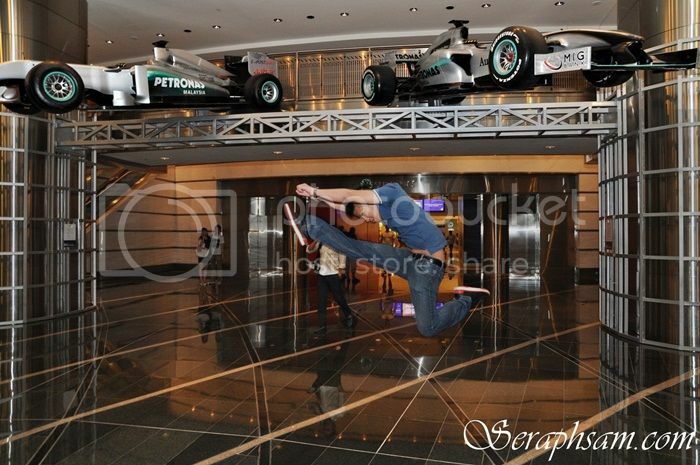 Some of the bloggers getting a go on the Petronas Speed of Sound! start racing with your voice! 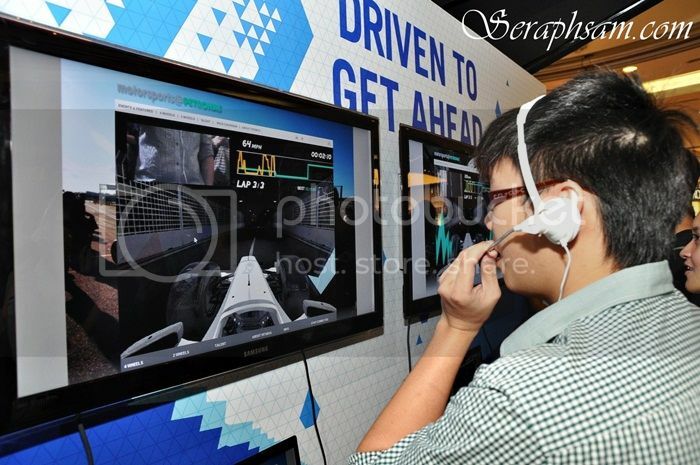 And as for this game, You'll be winning exclusive Petronas Merchandise if you have the fastest lap! and this goes on DAILY! 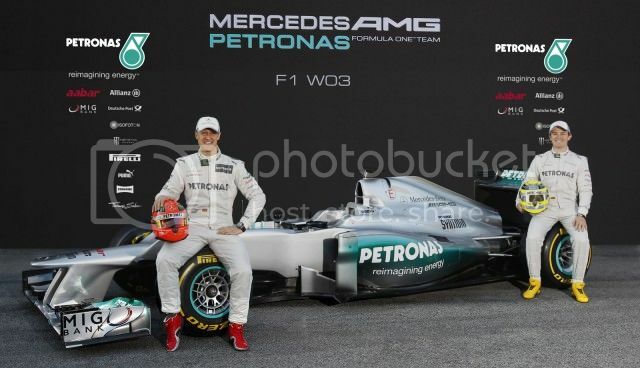 You'll be able to meet the Mercedes AMG Petronas Formula One Team Drivers, Michael Schumacher and Nico Rosberg on March 22 from 5pm! what's more, They'll be able to meet you and sign autographs for you! So why not? Head down to the Petronas Malaysian Grand Prix Showcase at KLCC and stand a chance to get a part of history by purchasing some awesome exclusive merchandise, meeting incredible F1 drivers & cars, and of course, standing the chance to win awesome prizes! And remember when I said at the beginning about bloggers getting lucky? 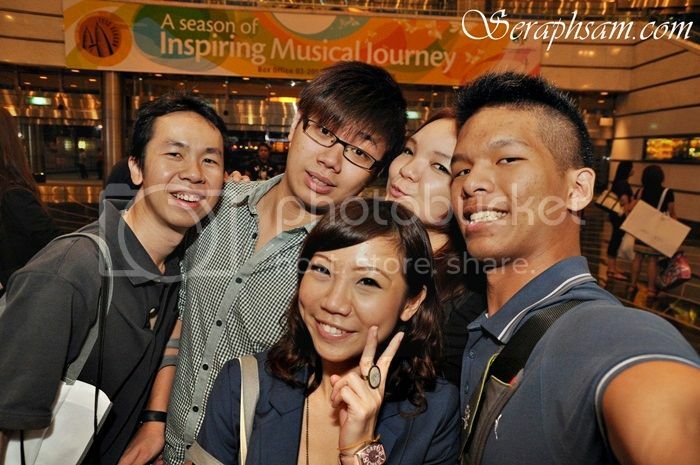 They won prizes from Trivia Questions & the Speed of Sound Contest! Get down to the Showcase now or you will regret it!